In March of 2015 the internet was abuzz with a strange photo that popped up on social media and paranormal/fringe sites. It showed what appeared to be at least two gigantic human skulls that has been exposed to the surface by heavy rains. The photo was allegedly taken in a small village in the Sierra de Tapalapa in the southern Mexican state of Chiapas. By the size of the people standing next to and on top of the skulls, one could assume that the skulls belonged to humans that stood almost 20 feet tall. After hundreds of thousands of clicks, likes and shares, the hive mind of the internet came through to solve the mystery of the picture. In October of 2008 the web site worth1000 dot com had a contest for graphic artists to come up with the most convincing depictions of absurd or anomalous archaeological finds. An image that made it to the top ten was this image of rural Mexicans marveling at the newly uncovered skulls of giants. The image was attributed to an online graphic artist who calls himself “YearOfTheDragon,” a self-described single father raising his daughter alone who lives off of illustration gigs solicited online. While some online fringe researchers were fooled by YearOfTheDragon’s intriguing work, others were quick to point out that there are ample amounts of firsthand accounts and even some physical evidence that Mexico once might have been inhabited by a race of giants in the not-so-distant past. When the Spanish first explored and conquered Mexico they heard of mythical races of giants wherever they went, from the Baja Peninsula in the northwest part of the country to the Maya areas of southern and eastern Mexico. Some researchers have even uncovered what they consider tangible proof that some conquistadors came into contact with actual giants, based on diary entries and early writings of the first people who made contact with living and breathing pre-Hispanic civilizations. The Spanish heard the myths and legends from the natives that seemed to correlate with their own Biblical stories about giants as found in the Book of Genesis: that sometime in some part of the distant past giants roamed the earth alongside modern-looking humans. The giants were responsible for much of what was left behind by previous civilizations and the giant explanation was common in many parts of the New World. To the people of central Mexico at the time of the Spanish contact, giants featured so prominently in their belief system that they even named their capital city, Tenochtitlán, after a man called Tenoch, who belonged to an entire ancient race of giants called the quinametzin. In recent fringe research literature and websites the Nahuatl word quinametzin has been mistranslated to mean “The Old Ones.” A closer look at the etymology of the word we find that quinametzin almost directly translates to “giant people.” In the beginning of the Aztec “Fifth Sun,” or the epoch of time in which we currently live, there were four giants who held up the sky. Their names were Cuahtémoc, Izcóatl, Ixcaqlli and Tenexuche. The Mixteca people, referred to as “Mixtecs” by modern anthropologists and historians, were supposedly fathered by a member of the quinametzin, a giant by the name of Mixtécatl. As briefly mentioned before, giants were often used by the ancient Mexicans to explain colossal ruins that had unknown builders. 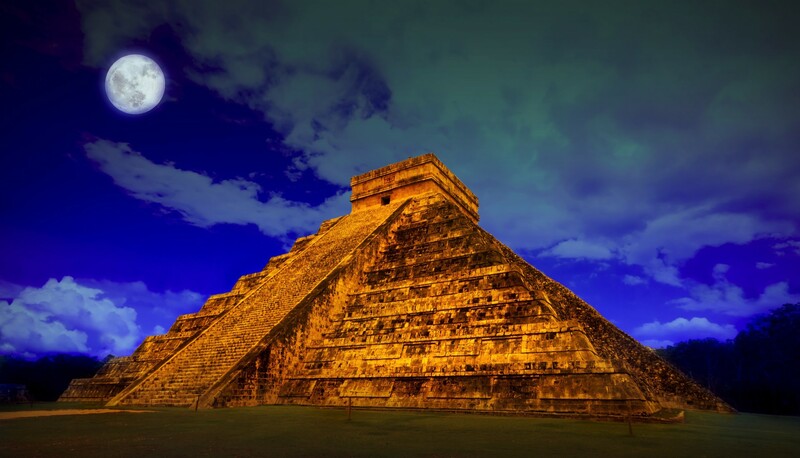 According to the Aztecs, the Toltecs had help from giants in building their capital city of Tula. The ancient central Mexican city of Teotihuacán, with its large pyramids and broad avenues had giants as its initial builders. 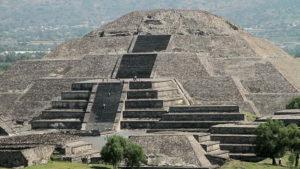 Finally, the great pyramid at Cholula, the largest pyramid in the world, was said to have been built by Xelhua, a 20-foot-tall member of the quinametzin tribe. Xelhua was also credited with founding 7 cities in central Mexico in the times before the coming of the Aztecs. Unlike the Aztecs, the Maya did not believe that a race of giant humans existed before them, but giants were part of the ancient Mayan religious belief system in the form of chaacob, a group of demigods who would serve the god Chaac, and who take human form in the shape of dwarves or giants. Some researchers cite a Maya belief in giants as evidenced by larger human figures being depicted in murals, carvings and other works of art. Mainstream archaeologists claim that these depictions of larger humans speak more to class and societal position than belief in a race of actual giants, as there is very little in Maya oral tradition that would indicate such a belief. As recently as the 1690s, almost two centuries after the Spanish Conquest, Jesuit missionaries to the remote desert areas of Baja California were still being told by the local Cochimi people that the large rock wall art, carved so high up in the cliff surfaces in the rugged mountains of Baja was done by a race of giants who were tall enough to paint so high on the wall. “Our friends told us how and whence they came into this country, and how they had settled themselves there; how it came that, notwithstanding their vicinity to the Mexicans, they resembled each other so little, and lived in perpetual warfare with each other. The tradition was also handed down from their forefathers, that in ancient times there lived here a race of men and women who were of immense stature with heavy bones, and were a very bad and evil-disposed people, whom they had for the greater part exterminated by continual war, and the few that were left gradually died away. Those researchers who propose that there were giant humans roaming the earth in pre-historic times cite these early Spanish accounts of remains as proof positive of a lost race of gargantuan humanoids. Others claim that these are stories of stories and that the gigantic bones may have most likely been the remains of large ancient megafauna such as giant sloths and mastodons. In spite of the stories of giant bones being found by the Spanish, we have no intact giant human skeletons or even parts of giant human skeletons from the time period to study. As with many “fringe” topics from Bigfoot to the Loch Ness monster, scientists have a simple question: Where are the remains for them to study? Researchers counter that there has been a long history of government and academic suppression of the evidence of giants, beginning with the number one villain in the cover-up story, a villain with long arms that stretch across borders and into Mexico: The Smithsonian Institution, established in Washington DC in 1846. When it comes to the topic of Mexican giants, while interesting and somewhat romantic, very little evidence exists that an actual race of giants walked the deserts, jungles and altiplano of Mexico. 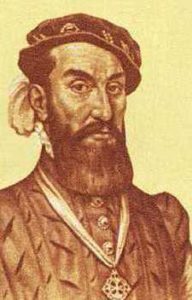 The medical condition commonly referred to as gigantism existed in ancient Mexico as it does today throughout the world, as evidenced in the stories of the warrior Tilcatzin. This condition is rare and only occurs in less than 1% of the population. A mythical and/or magical race of giants inhabiting ancient Mexico is something altogether different. While there may be truth to ancient legends, Mexican giants might be proving to be a bit more elusive than some researchers want them to be.